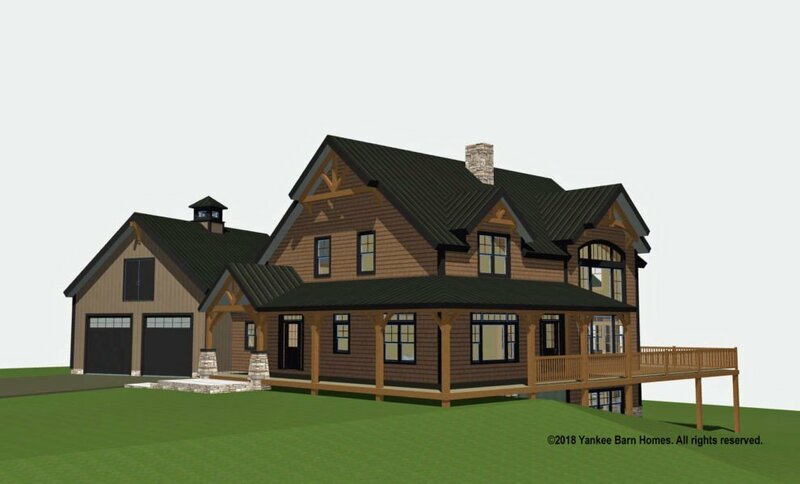 Great North Woods Lodge is a new Yankee Barn home design in the architectural style of a mountain lodge. 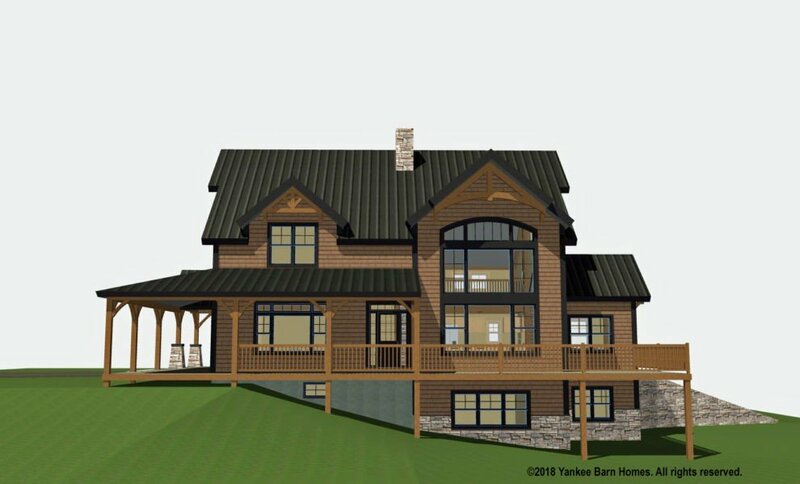 The home reflects the surrounding where it will reside, in the Great North Woods of New Hampshire. The new homeowner is an outdoor enthusiast, no matter the season, and this house will reflect his love of the mountains. 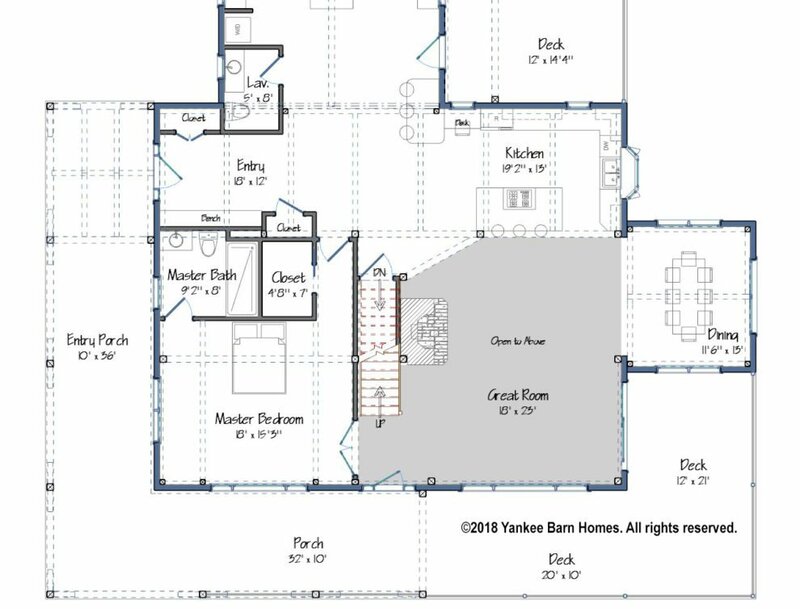 You’ll notice a large mud room with lockers and a huge center island. This will serve two hobbies, snowmobiling (he has his own snowmobile trail groomer) and jam making. The lodge sits on numerous acres that provide open spaces, woodlands, trails for riding and berry patches for harvesting. Did I mention the views? Oh, those views! 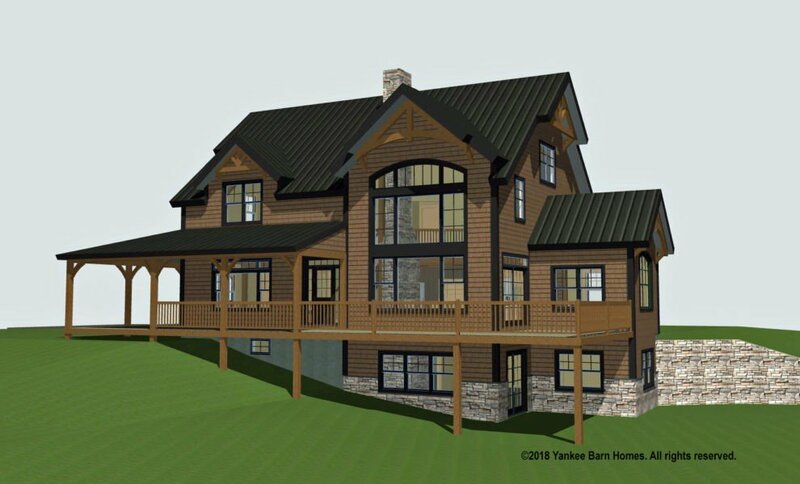 The exterior appearance of Great North Woods Lodge is a nod to the New England farmhouse while exhibiting the style of a mountain home. Expansive porches live side by side with spacious decks. 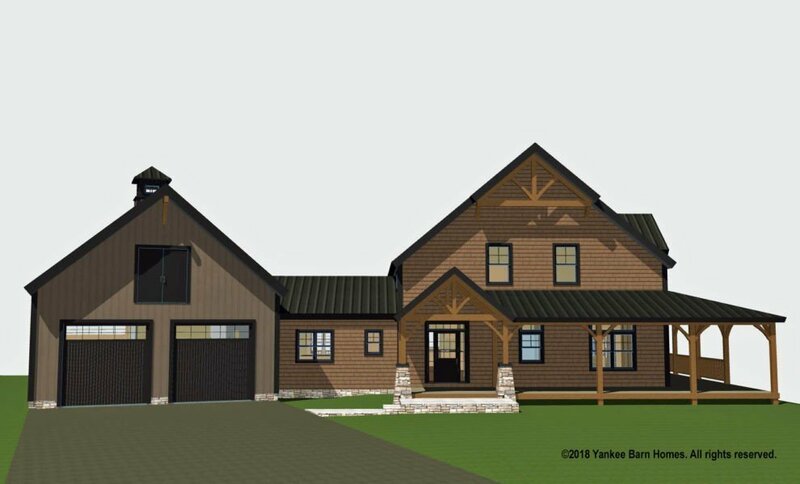 The choice of a solid post and beam frame (both structural and decorative) along with natural stone and wood shingle siding, create a lodge style that blends beautifully with this region of New Hampshire. The windows on the entry side of the lodge are 4 over 1, a typical New England farmhouse window choice. However, the windows on the front of the home are all about the lodge style. A wall of windows utilizing over-size expanses of glass compliment doors with sidelights and transoms. No detail is too small on this house. 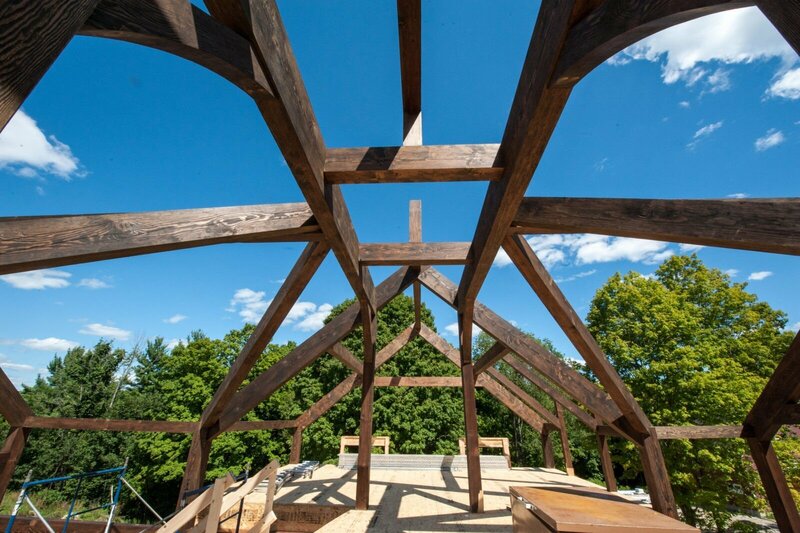 Note how the shape of each truss (gable features) mimics the shape of the window below it. This house is a stunner! The interior of Great North Woods Lodge is equally impressive. Gone are the low ceilings and cramped rooms of an older New England home. 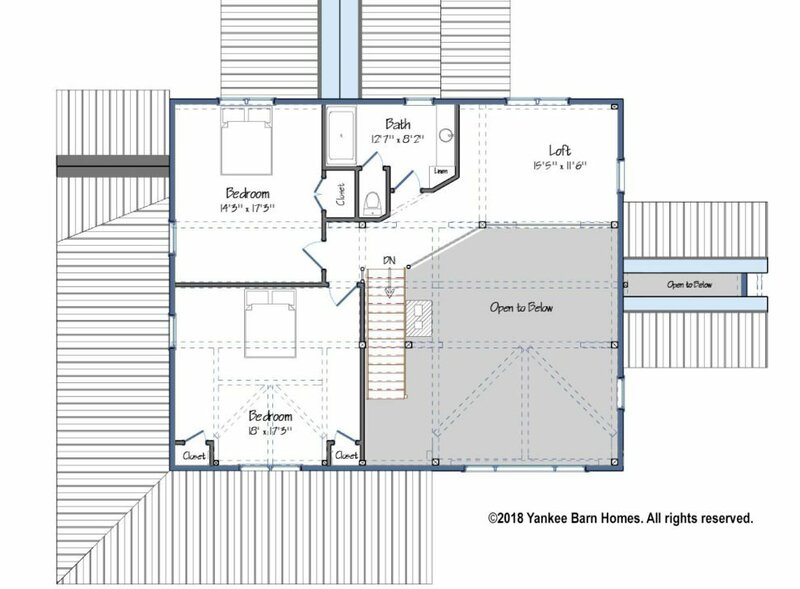 This house has an open flow floor plan, very few interior walls, and loads of natural light. 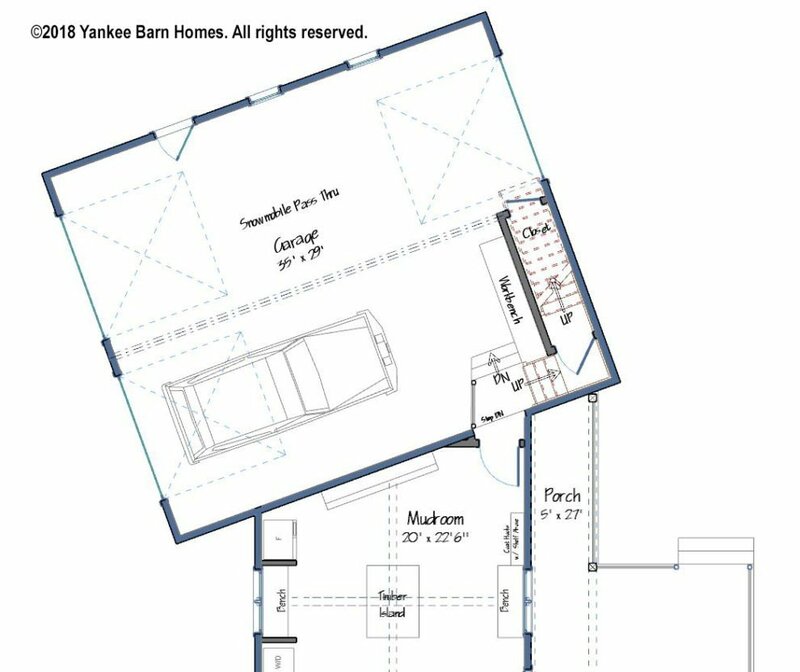 Vaulted ceilings and a granite fireplace worthy of the any Adirondack lodge are central features on the main level. 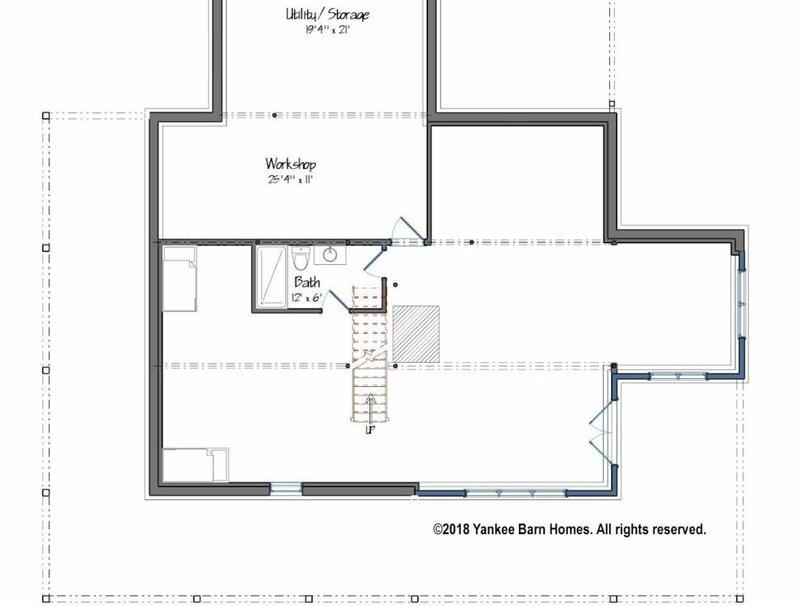 The huge center island in the mud room will be created from local timbers. We’re already envisioning the photo shoot! 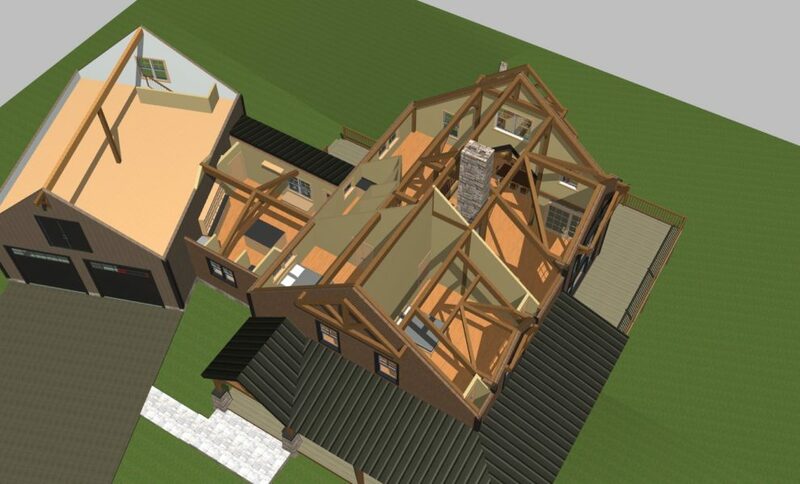 Great North Woods Lodge is currently being built. We’ll keep you posted on progress and plan to share photos as they arrive. 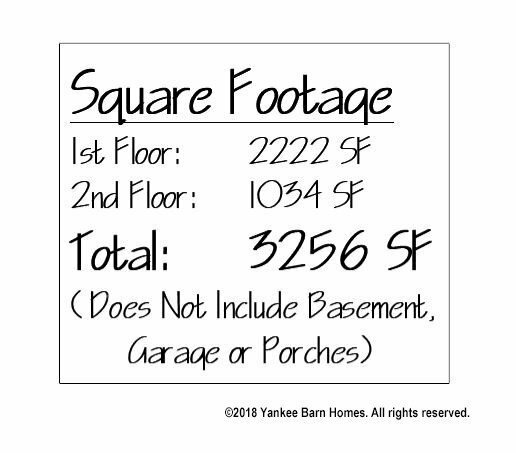 Keep in touch; you will not want to miss this house! UPDATE – we just received construction photos the other day. WOW! 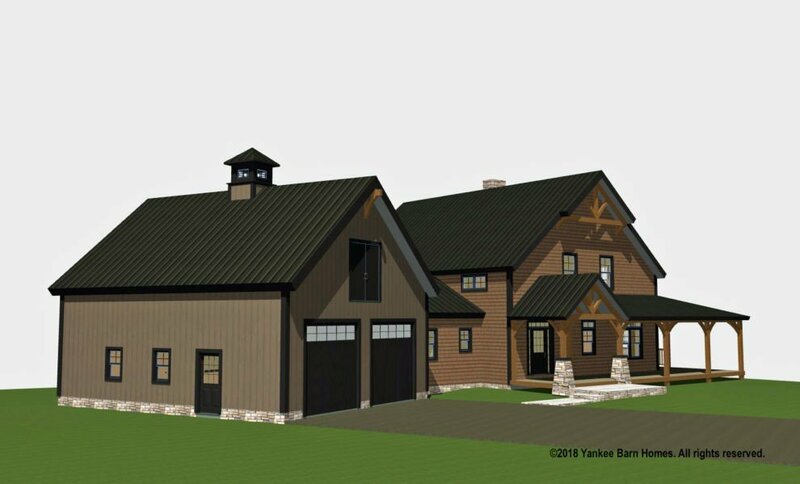 Barn Home Shingle Style Up In 8 Days!